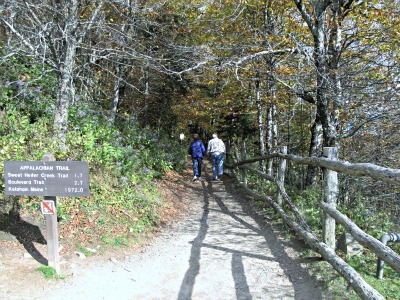 The Appalachian Trail is one of the nation's longest hiking trails. Hundreds visit these mountains every year to take on one of life's most exciting hiking adventures. In 1998, Larry Shaffer became the oldest man to walk the trail from end to end at the age of 80 years old! Those who dare to take on this feat should know there are about 250 shelters and campsites available. If you get hungry, or tired, there are roads leading into “trail” towns where you’ll find opportunities to stock up on food, necessities, or rent a hotel room. If you’re a Thru-Hiker, which means you want to complete the whole hike in one season, you’ll most likely “git er done” in about five to seven months. However, its been said that some folks have completed the entire walk in three months! 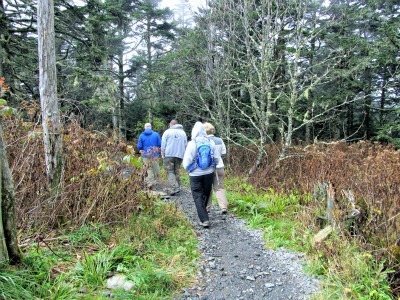 Hiking the Appalachian Trail inside the Smoky Mountains area requires camping in designated areas only. 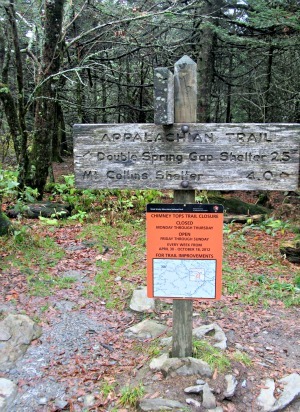 Or, if you prefer, there are a dozen shelters located throughout the 71-mile trail area. These are good for overnight stays and during bad weather. It's a good idea to plan your hike! Reservations for shelters must be made thirty (30) days in advance by calling 1-865-436=1231. Cooking and eating are not permitted at the shelters because of the possibility of attracting the black bear. The food you're carrying in your backpack must be carefully stored. Trash must be disposed of properly. All food and trash should be suspended 10 feet or above from the ground and around four feet from tree limbs. 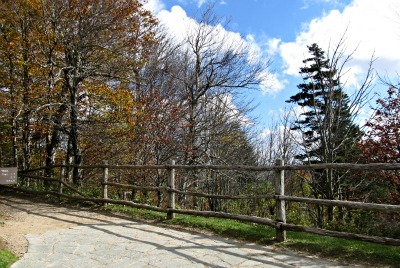 Following these rules not only protects you, it protects other hikers. and the bear as well. What should you do if you were to come upon a bear while hiking? Click here for more information! It's a good idea to carry drinking water with you. However, if you're hiking several miles, it may be difficult to carry the amount of water you would need. Mountain streams could be unhealthy. The possibility of drinking from these may ingest parasites that could make you sick or create other indigestion problems. If you need to drink from a stream along the way, it's a good idea to boil the water for about a minute, or use a filter. 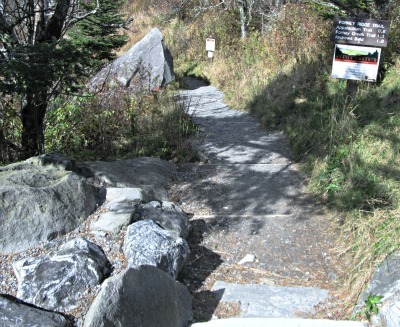 Most everyone who hikes the trail will start in Georgia and go to Maine. The best time to start is March or April. If you do so, you'll most likely finish in late summer or early fall. The only areas to allow bicycles and other wheeled conveyances are sections which follow the C&O Canal In Maryland and the Virginia Creeper Train in Virginia. There is horseback riding allowed in two places only. There are the C&O Canal and in the Great Smoky Mountains National Park.